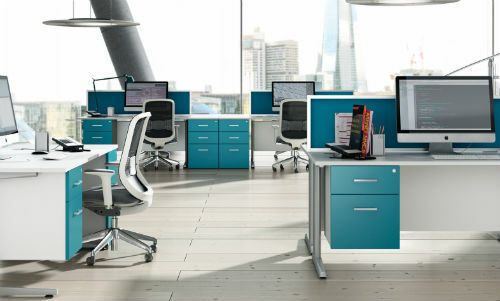 A tidy work space says a lot about your employees and your business. A bright, clean, fresh smelling office lobby or reception gives off a great first impression to your customers; it also tells how much you care about your business as well as your visitors. A healthy environment is a great morale booster too, long days at office seem to go on forever and may wear down everyone however, and there is a quick and simple solution that can pick up everyone’s mood. A regular cleaning practice keeps your customers and your employees motivated, in good health which otherwise can indeed cost your business in a long run. When your employees or visitors see orderliness in the way things are stored, see no obstacles or clutter to work their way around, the productivity increases as they can locate what they are looking for swiftly. The most effective way to achieve a tidy work environment is through a professional cleaning service. Whether you have an office full of staff, a retail location or an industrial site office with high visitor traffic, Qatar Maid Service has a cleaning program which suits all your needs. Qatar Maid Service, the largest commercial and residential cleaning service provider in the state is at your service to keep your staff and your clients happy with a clean space to spend their working hours.